If you live downtown Chicago, chances are you think you are stuck with an urban setting for your family session. But as it turns out, this city is full of beautiful, hidden little natural spots that will make you feel like you’ve wandered into the countryside. I got to spend the afternoon with Justina, Omar and the ADORABLE little Kennedy walking along Lake Michigan and we just had the best time. The weather was gorgeous and we picked flowers, went caterpillars hunting (no caterpillars were hurt during this session lol), and Kennedy let out her inner explorer and goofball spirit. If I ever have a daughter, I want her to be just like this little one. I just loved her!! Take a look at our day’s adventures. Music Credit: Storybook by Jordan Analog Heart. Licensed by Musicbed. 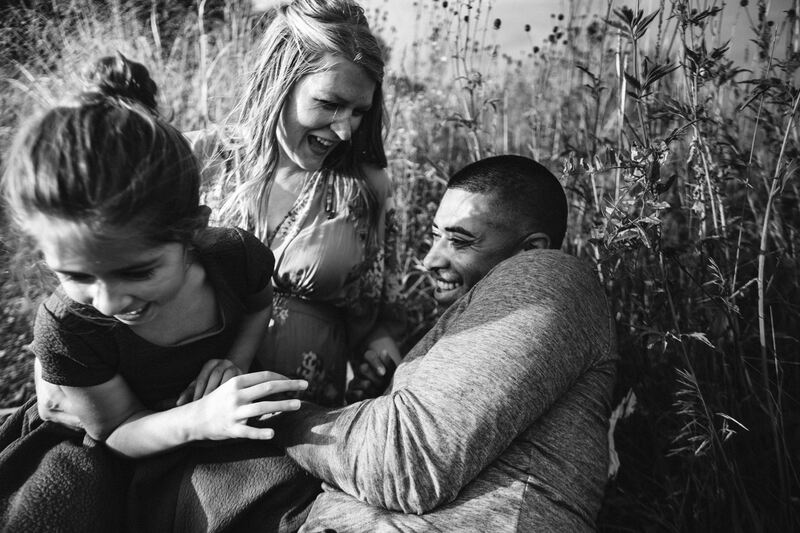 This Chicago family session is precious- you killed it! I love this stunning Chicago family session! Beautiful family session! Who knew Chicago could look so wild!!! This family session was in Chicago?! It looks like a magical fairytale! Just beautiful! I love the colors in these photographs! And the bold black and whites are beautiful as well. You really showed how a Chicago family session can be wild and full of nature!